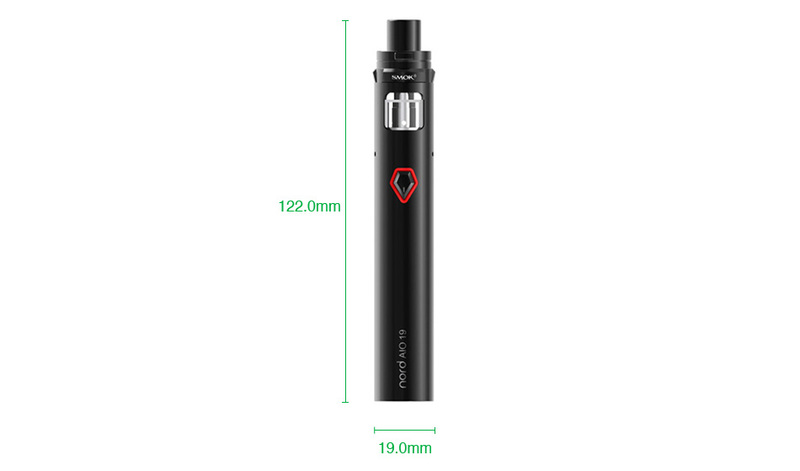 SMOK Nord 19 AIO Starter Kit 1300mAh – E-CIGARETTES.CA INC. 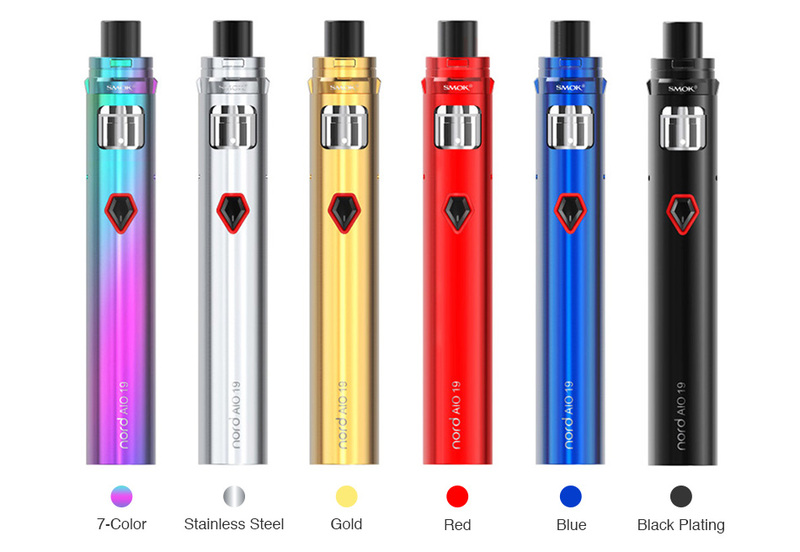 The SMOK Nord 19 is a new all-in-one pen-style starter kit with 19mm diameter. With 2ml liquid capacity and a built-in 1300mAh battery, you can vape for a really long time. 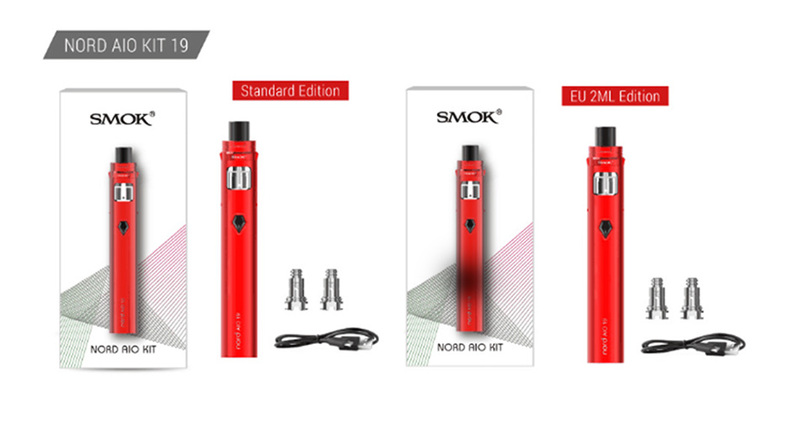 The SMOK Nord AIO Kit is equipped with top rotary cap which can avoid accidental leakage. And it also adopts unique pentagon fire button, making the operation much easier. The package includes two coils: Nord 0.6ohm mesh coil and 1.4ohm regular coil. The 0.6ohm mesh coil is designed for subohm vaping for faster heating and massive clouds. And the 1.4ohm regular coil is designed for MTL vaping, which can help you enjoy throat hit with it.